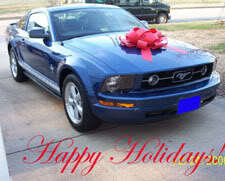 MustangForums.com - Happy Holidays MF! Merry Christmas & Happy Holidays from Northern California!!! 07BLACKGT's sig says it all.